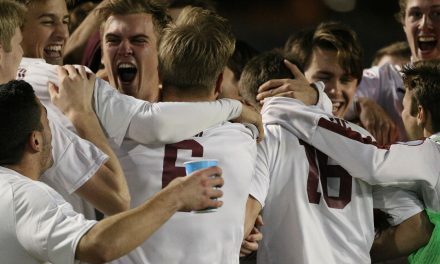 In a rare NCAA Division I men’s tournament confrontation between two New York City teams, Fordham University will host St. Francis Brooklyn at Jack Coffey Field in the Bronx in a first-round encoutner Thursday at 7 p.m.
Fordham earned its first at-large bid to the tournament in program history. The Rams (12-5-2) lost to UMass in the Atlantic 10 championship game in extratime last weekend. Considered one of the best defensive sides in the country (10 shutouts), Fordham is led by the Atlantic 10 defensive player of the year, senior Matthew Lewis, and A-10 first-team goalkeeper Rashid Nuhu. The German brother duo of Jannik and Janos Loebe, who have combined for 13 goals and 12 assists, pace the attack. 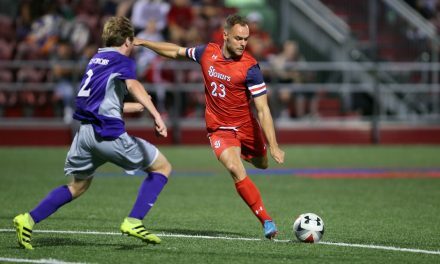 The Terriers (14-4-1), who defeated LIU Brooklyn to gain the Northeast Conference’s automatic berth Sunday, are making their fourth NCAA appearance in the past five years. They enter the match on a seven-game winning streak and a 10-game unbeaten streak (9-0-1). Ali Tounkara (eight goals, two assists) tallied twice and Dominick Falanga (seven goals), Nadim Saqui and Sami Gliguem added goals to boost St. Francis Brooklyn to a 5-0 win Sunday. The Rams also have recorded eight shutouts. Thursday’s winner will take on 11th-seeded University of Virginia (12-3-5) at Klöckner Stadium in Charlottesville, Va. Sunday at 5 p.m.